Happy Saturday Comic Impact fans and fans of comics books alike. Welcome to a special edition of the POW (Pick of The Week) I’m sure you asking yourself. “What’s so special about this episode?” Well it’s online and ready for you to enjoy on a Saturday so that you have something to listen to on your way home from New York Comic Con 2011. Oh wait you did not go to NYCC? Then you enjoy the amazing podcast where the boys talk about there favorite books for the week October 12th 2011 such as Ultimate Spider-man #3,Green Lantern #2,Uncanny X-force #16,Batman and Robin #2,Punisher #4, Shade #1,Batwoman #2,Superboy #2 and more. 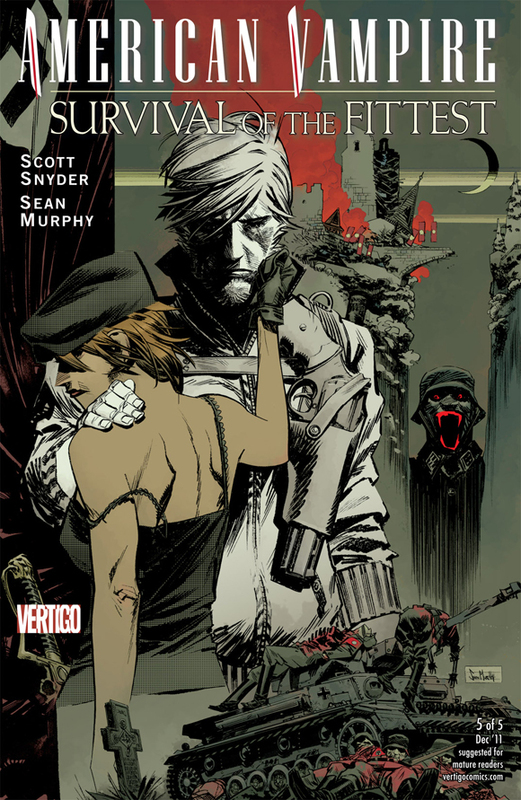 Simon had hard time picking his pick because of the ridiculous amount of amazing comics that come out last week yet after much debate, he went with AmericanVampire Survival of the Fittest # 5 by Scott Snyder and SeanMurphy. In this episode there are so many questions… and so many answers. Is it Shade or Shade The Changing Man? Why does Simon not care to read the Punisher? Why is Matt sad he has to wait until November for a certain book? Does Sheldon still enjoy his DC Comics? Last but not least, How was Matt able to read all of Craig Thompson’s latest graphic novel, Habibi? And what did he think? Find out all of this and more on this week’s episode of Pick of the Week.